The Opticron IS 60 R/45 spotting scope delivers excellent value for money and designed for both the first-time user, frequent traveller and those on a budget. These interchangeable fieldscopes provide high levels of performance and versatility in extremely compact and lightweight bodies. An excellent all-rounder delivering good resolution and depth of field, the IS 60 R/45 is easy to use and transport either on a lightweight tripod or bipod. 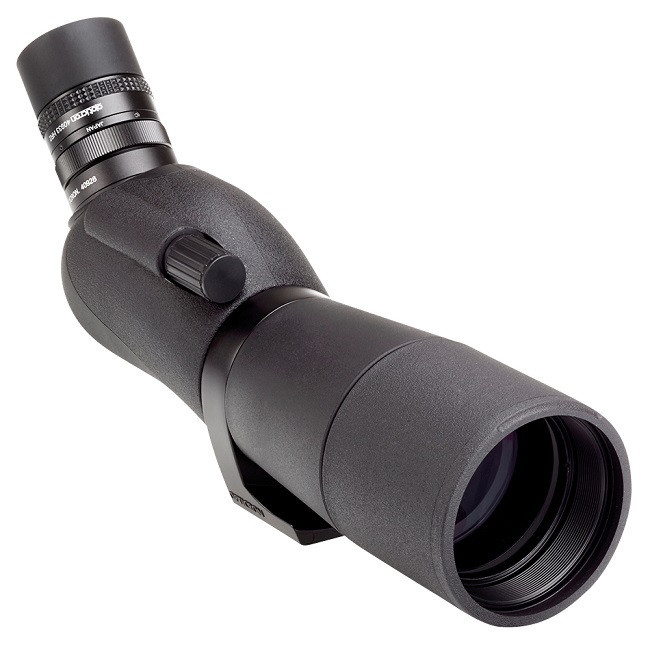 When matched to the long eyerelief IS 18-54x zoom eyepiece, the model is an excellent choice for the first-time birdwatcher moving up from 'binocular-only' bird watching.